I just found this hilarious. I was in the movie theater yesterday and saw a poster for this show below. There was also a pre-trailers trailer for it before the movie. The voice over described "a new family moving into the White House," suggesting it took place after an election. The white guy in the back surrounded by his family is the president of the United States. Does he resemble anyone? XD I think it's obviously supposed to be Mitt Romney. You can't tell from that pic, but he has the white things on the side of head like Mittens does. The black guy on the left that works for him, kind of resembles Obama. I'm going to guess some pompous idiots approved this a while ago and filmed it over the summer or something. 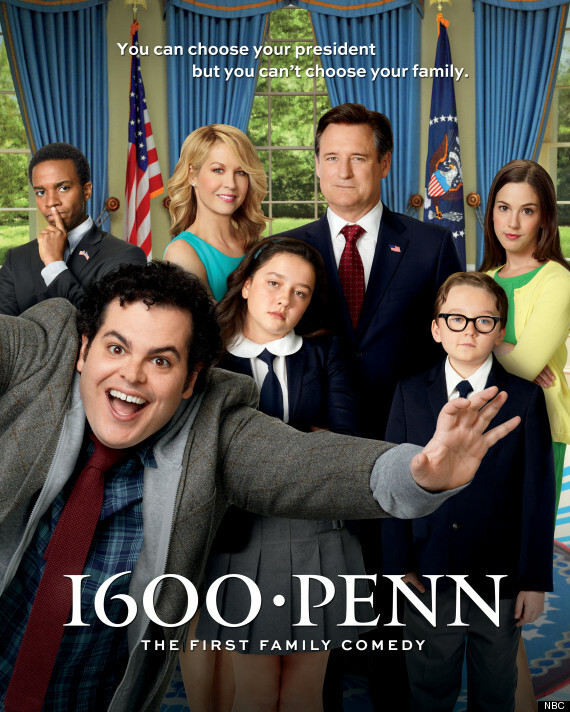 But this was hilarious, it's even more obvious that he's supposed to be Mitt Romney in the trailer, with the the blubbering fat idiot his embarrassing relative to contrast against his straight-laced conservative family. I was mocking the trailer big time. I also see Mitt-clones appearing in commercials aimed at rich people, buy a new Lexus for Christmas or whatever, and I laugh at them every time because it's obvious they were made before the election occurred. But since Tagg Romney recently said that his dad never wanted to be the president, maybe they should have just hired the real Mitt Romney instead of using a fake one. Maybe his real calling from god was to be an actor.